Most of life’s petty irritations fall into immediate perspective when you have to face something truly serious. You know…like when your house has major WiFi problems. Laugh if you want, but constant issues staying connected while texting, watching Netflix or doing any of the dozens of daily tasks that require WiFi are enough to make you want to put your head through a wall. 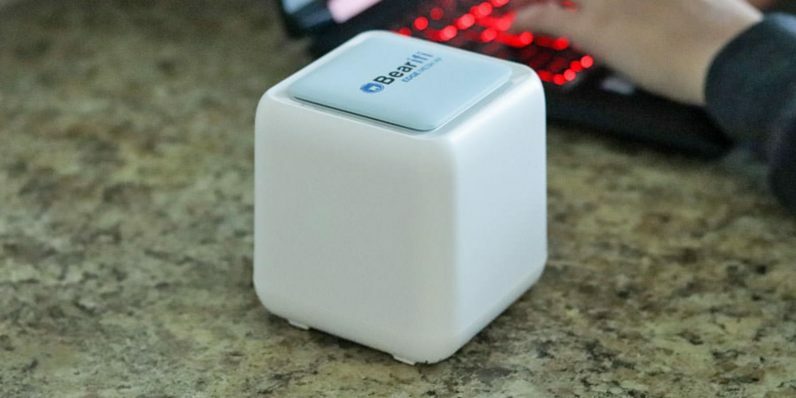 The Bearifi Edge Mesh WiFi Extender Bundle can help get around all those pesky dead zones and connection issues that plague so many homes. Right now, TNW Deals is knocking almost $37 off the price of the bundle, bringing the total down to just $103.20 with promo code: GREENMONDAY20. One of the Bearifi’s big selling points is the Edge Mesh doesn’t require replacing your existing router. Unlike most systems, the Edge router works in conjunction with your current router, allowing you to configure the Edge AP, place it and the Satellite units in your home, tap to connect and they’ll immediately start communicating. It doesn’t require any advanced configuration. With proper placement, this one-two punch can actually cover a 4,200 square foot single story home with your existing router. The Bearifi units utilize Bearforming technology, which intuitively signals connectible devices, including most WiFi enabled tech like the Amazon Echo line. If you’re using smart TVs, a smart frig or smart lighting around your home, the Bearifi will automatically hook them into your extended network on 2.4 GHz or 5 GHz bands to get your whole house synchronized. Quit hassling with weak connections and grab this Bearifi Edge Mesh extender system now with a holiday-friendly $37 off for a limited time.